Techmac's digital attempt at computer generated imagery was laughable. Note that it has no right wing and the left wing and engine dislodge right after it gets below the copyright. 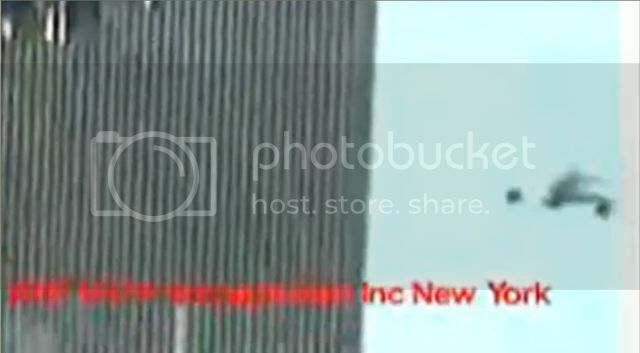 It convienently zooms in preventing view of the fake image between the towers. 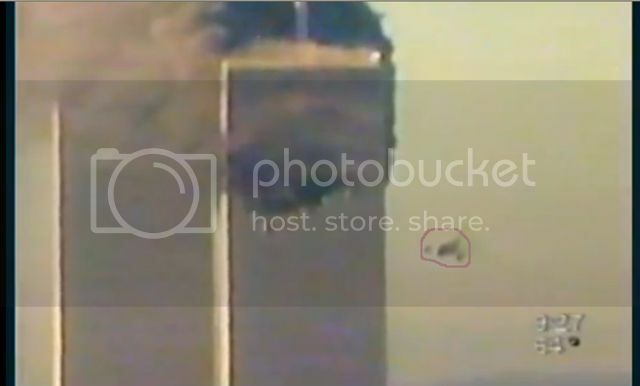 WB11 didn't get its fake plane image until 9:27 and the similarities between the two provide a match in stupidity. Only a cgi could have a fake left wing and no right wing. Last edited by frisco kid; 09-17-2016 at 05:02 PM.